We were able to obtain an NES Classic at our shop and have kept it behind the desk, breaking it out on occasion to play with customers or amongst ourselves. These have been hot commodities, extremely hard to find due to underproduction and continue to be sold out everywhere, with rumors swirling of a discontinuation in production. The NES was the first true game system I could call my own, as my Dad's Commodore 64 and Atari weren't always accessible. We only owned a handful of games for the NES - Super Mario 3, Megaman 4, TMNT - so these games are ingrained in my memory from all the hours of repeated play. The box itself was smaller than I expected, which was something 100% the size of a traditional NES. The back has two simple connections for power (cell phone charging cables work fine!) and an HDMI slot for connecting to your TV. All of the games are pre-loaded - 30 in total. Setup was as simple as plugging in and hitting the power button, with an instant load screen showing all games available. The box comes with just one controller which feels very familiar albeit a tad smaller than what I remember. This is a wired controller and required us to purchase an extension cable to use more freely. We also tested a wireless controller which never seemed to function correctly, frequently turning on and off mid-game. We ended up going with two wired controllers for multiplayer. The 30 games loaded cover a variety of NES favorites like the Super Mario Brothers series, Donkey Kong, Megaman, Metroid and Zelda. The first game I loaded was Super Mario Bros 3, which played very close to the NES version, although some timing on jumps seemed a little off. I blasted through the game and paused at the final boss with the plan to show some regulars, however the system auto-shuts off after a period of time and I lost my game. There is a neat "Save" feature built in that lets you pause the emulator at any point in time and pick it up again later. We discovered this while playing Tecmo Bowl, which was Madden before Madden became a thing and features some sick cut scenes. For multiplayer we've enjoyed playing Dr. Mario and both of the Donkey Kong games, taking turns passing the controller around and trying to beat the levels. We also played a bit of Bubble Bobble, and I accidentally tripped a level skip and launched my career as a Bubble Bobble speed runner. We haven't yet played through all of the titles but with time I plan to try each one. 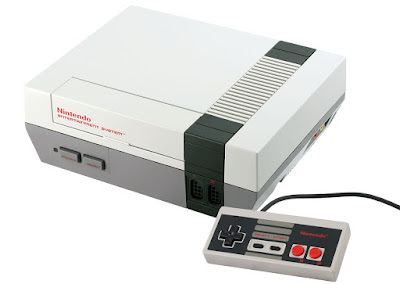 I hope the rumors about production are untrue and the NES Classic makes a comeback. The little box has been a ton of fun to use, and I feel like Nintendo could move a lot of these units at retail. Eventually our unit will be making its way into our retro gaming area for everyone to give it a try on their own.